I figured it was time he had his own discussion. He stands at Darley in the US. he his the sire of Rachel Alexandra, Samantha Nicole, Plum Pretty etc. His daughter, Songbird, is going in the Juvenile Fillies against Rachel's daughter, Rachel's Valentina. Songbird looks very much like Rachel! Gotta go with Val but just hope both are safe. My god does she look like Rachel. Thanks for posting the video. Enjoyed it very much. Really makes it a tough choice between my heart (Valentina) and my head (Songbird). She looks like Rachel is color and facial markings, without the "eye", but think she may be bigger. Nice mare! MdO sure produces stellar girls! 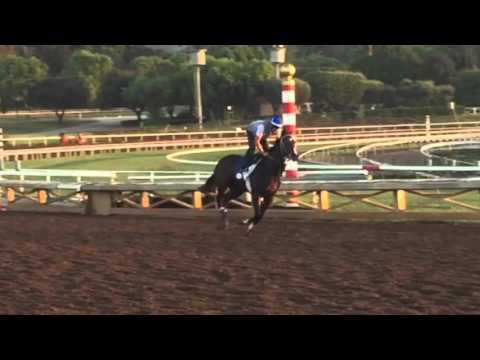 An eye popping 18.7% of Medaglia d'Oro's winning offspring go on to be stakes winners. This is compared to just 13.3% of Tapit's winning offspring who go on to be stakes winners. Furthermore, an even 50% of Medaglia d'Oro's stakes winners go on to be graded stakes winners. Just looking at these numbers alone, it's utterly unsurprising that Medaglia d'Oro is known as one of the top sires in North America. An update on Songbird from Fox Hill Farm! "We are still glowing from Songbird’s Breeders’ Cup win. It’s fun to have such a nice filly. We can’t see how she wouldn’t be named the two-year-old filly champion, so we are looking forward to going to the Eclipse Awards in the middle of January. Songbird went to WinStar after her Juvenile Fillies win. We wanted to give her a little rest and also have Dr. Bramlage go over her with a fine-toothed comb. She had a little ache in a stifle from the race, but it wasn’t a concern to Dr. Bramlage and he passed her with flying colors. We also had a nuclear scan performed to make sure all is well, and she looked perfect on the scan, with activity at the amount and locations that Dr. Bramlage would want to see in a filly her age. Dr. Bramlage has been someone that we’ve sought guidance from through the years so that we make the best decisions possible in the management of our horses. He has stressed the importance of horses having paddock time between campaigns to heal from the wear and tear that inevitably comes from racing and training. Being a lightly-raced two-year-old, it isn’t quite as important as it would be for an older horse who has more training miles under his saddle, but it could only do her good to have this little break. Her month of paddock time comes to an end this week as she’s shipping back to Jerry Hollendorfer on Thursday. The Hollendorfer team is excited to see her. Jerry kidded that they may have a welcoming parade for her upon her arrival." Thanks for the news on Songbird. Happy her team is taking good care of her. Porter is keeping Songbird in the filly races for next year. Nice article. So glad he has made this decision. After Eight Belles, it is scary to see the fillies in with the colts that early. Eh, I feel it does a serious disservice to fillies when I see these sorts of arguments used as a reason not to run them against colts. Eight Belles breakdown had nothing to do with her running against colts. She broke down as a combination of genetics, chasing a steroid pumped horse (who just happened to be a colt), a habit of getting on her forehand when she was tired and a bad step. Look at Europe, Australia, Japan where fillies routinely go into the gate against colts. It's only in America where we make such fodder out of the colt/filly divide. My personal opinion is that no 3 year old is prepared for a 20 horse field, going a 1 1/4 in front of what has become a sport spectacle, rather than a race. The pomp and circumstance around the Kentucky Derby with it's ridiculous "Walk Over" and the rest of it is a lot to ask of any young horse, colt or filly. If they want to keep all the pomp and circumstance, reduce the Derby field to one gate, so at least these poor youngsters don't have to go through a pressure cooker and then a cavalry charge. Say something like *that* if it's not about your ego, say "I don't want to put my horse (colt or filly) through that grueling trial just so I can sit in an owners box and get on NBC." I'd have 1000x more respect for the owner who said that than what Porter is saying here. Should Songbird be racing against older males in May? Hell NO! But given the performance she put on in the Breeder's Cup Juvenile Fillies, she should definitely be giving the colts of her own crop a solid whumping. Keeping her against fillies, is going to do little more than see her dominating the filly races and oh look Porter can maintain her "unbeaten" record. I have to agree with @Zenyen here. I don't think Songbird would have had any issues even walloping the colts in the BC Juvenile. Porter has also said that winning the Kentucky Derby wouldn't add anything more to her "value" than what she currently has. I hate that her value as a broodmare is what he's considering at this point in her career. 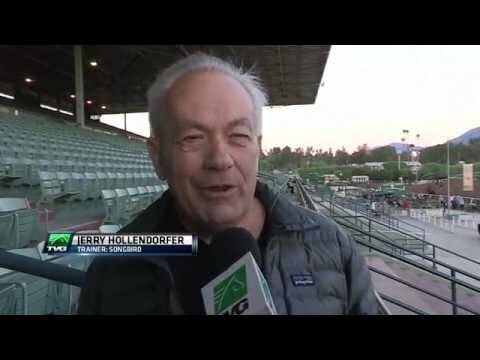 I really wish more owners would do what's good for the sport as well as their horses. Another thing - if I he 2013 colts were as good as the 2012 ones, I'd understand a little more. But they're not. They're certainly not going to "break her heart", as I hear thrown about all the time. It's a damn shame. I'm not going to lie, the value thing made me twitch. If nothing will increase her broodmare value, why NOT try the colts? Don't think it hurt Havre. Think she could win against the colts but who knows. So many times the 2 year old champs do not do too well. Certainly not another AP among the colts but should be some good ones. That's statement said a lot, but is it really true? Look at the list of two year old champions. There are some toss outs, sure, but not as many as you'd imagine. And quite a few that didn't live up to their potential the next year went on to become outstanding sires. I respect this trainer's choiceschoices. He is talking about filly TC, and probably boys afterwards. She has no points. They would have to supplement her for KD. TBH she'd only need to place in a single prep to make it on points. She has no points. They would have to supplement her for KD. The vast majority of the 2016 Kentucky Derby field doesn't have points. This isn't really the issue. Am rather vexed at her connection's choices. I mean, now that we have a TC Winner again.... What next? For me, obviously the first female TC winner in history. It seems to do a superfilly a great disservice just pitting her against her own gender. Songbird might fit the bill for a Kentucky Derby winner, but alas.... None of us can change her owners' mind. She has no opportunities to get points unless she races against the boys. By the time the Derby is here, it will be based on points. Agree with Zenyen and EliRose --- this filly may well be the class of her crop, including the colts. If they don't want her in the Derby stampede, I hope they keep their options open for a possible run in the Preakness. She's big enough, has the raw talent --- hope she stays sound and they give her the opportunity to race against the best of this 3 year old crop --- fillies or colts. I agree, but maybe after filly triple crown.